Chinese electronics brand, Vivo has launched a premium variant of the Vivo Y81 smartphone in India. The Vivo Y81 can now be purchased in a new 4GB RAM variant at Rs 13,490. Launched back in August 2018, the Y81 until now was available only in a 3GB RAM option, but now, it can be purchased in two variants. Recently, Vivo has reduced the price of 3GB RAM variant to Rs 11,999 from the launch price of Rs 12,999. And it has now launched a new variant with 4GB+32GB of internal storage at Rs 13,490. 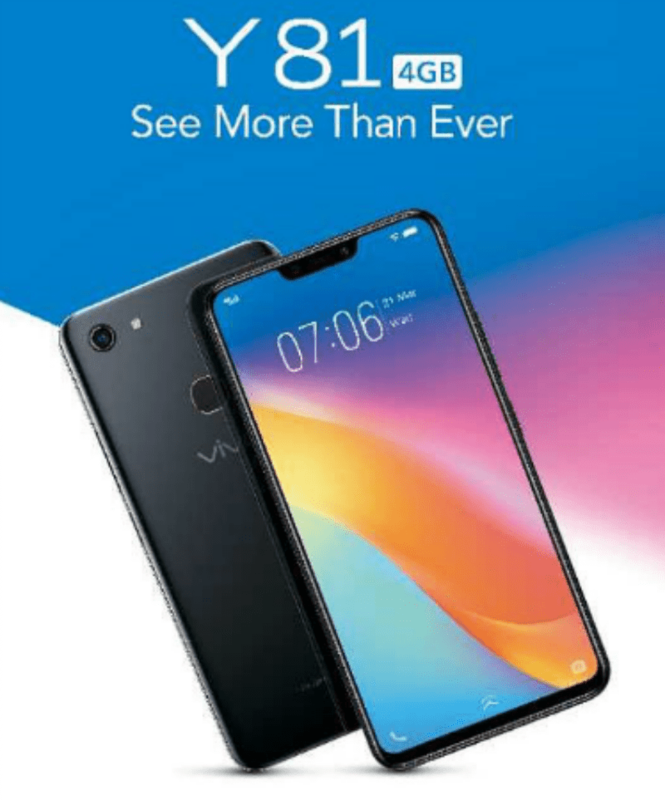 This is the third major launch from Vivo this week as the brand has launched Vivo V11 and Vivo V9 Pro smartphones. To recall, the Vivo Y81 was one of the few smartphones to make use of the MediaTek Helio P22 chipset, which we saw on the devices such as Nokia 5.1 and Xiaomi Redmi 6. The Y81 sports a 6.22-inch HD+ display carrying a resolution of 720×1520 pixels and 19:9 aspect ratio. Under the hood, the Y81 has the octa-core 12nm MediaTek Helio P22 chipset, clubbed with 3GB/4GB of RAM and 32GB of internal storage. The phone has a dedicated microSD card slot for storage expansion up to 256GB. The launch news of 4GB RAM variant was first posted by Mahesh Telecom on Twitter. The phone boots Android 8.1 Oreo-based FunTouch OS 4.0. As for the connectivity options, it has Dual 4G, VoLTE, Wi-Fi 802.11 b/g/n, Bluetooth 5.0, GPS and a Micro USB port. The phone is backed by a 3260mAh battery and measures 155.06×75.0x7.77mm. It’s light in weight at 146 grams thanks to the plastic body used by Vivo to manufacture the smartphone. Optics on the Vivo Y81 include a single 13MP shooter on the rear side with f/2.2 aperture and single-tone LED flash. On the front side, the phone has a 5MP camera which will be enough to take video calls and capture passable selfies. The camera app on the Vivo Y81 comes loaded with features such as HDR, Portrait, Bokeh, Pro and video recording features include slow motion and time-lapse. Being a smartphone aimed at the offline market, the Vivo Y81 seems to be priced on the steeper side. The newly launched 4GB RAM variant of Y81 will retail for Rs 13,490, while the 3GB RAM option is already available for purchase at a reduced price of Rs 11,999. The Y81 can be picked up across Vivo Online Store, Flipkart and at over 75,000 retail stores across the country. As mentioned above, the Vivo Y81 is aimed at the offline market. And in that space, we have smartphones such as the Samsung Galaxy J4+, newly launched Tecno Camon i2X and other phones such as the Xiaomi Redmi Note 5 Pro, Redmi 6 Pro. The Redmi Note 5 Pro is available at Rs 15,499 for the 4GB RAM option, while the Redmi 6 Pro is available at Rs 12,499 for the 3GB RAM variant. The newly launched Tecno Camon i2X is priced at Rs 12,499 and it offers the same MediaTek Helio P22 chipset.